The topic of ‘Junior 4’ apartments in NYC is a highly contentious subject matter among buyers, sellers and brokers. Junior Four apartments are controversial because there is no single, authoritative definition of what constitutes a Junior 4 apartment in NYC. In plain English, the use of ‘Junior 4’ implies that a one bedroom apartment has an additional room which has the potential to be enclosed and used as a home office, formal dining room or function as a second sleeping area. In this article, we define and explain the concept of a Junior 4 apartment in NYC. What exactly does Junior 4 mean? Should I list my Junior 4 as a two or one bedroom apartment? Does it matter if I buy a Junior 4 instead of a two bedroom apartment? What is a Junior 4 coop apartment? A Junior 4 (JR 4) apartment is a one-bedroom apartment with an additional small bedroom, office or dining room. 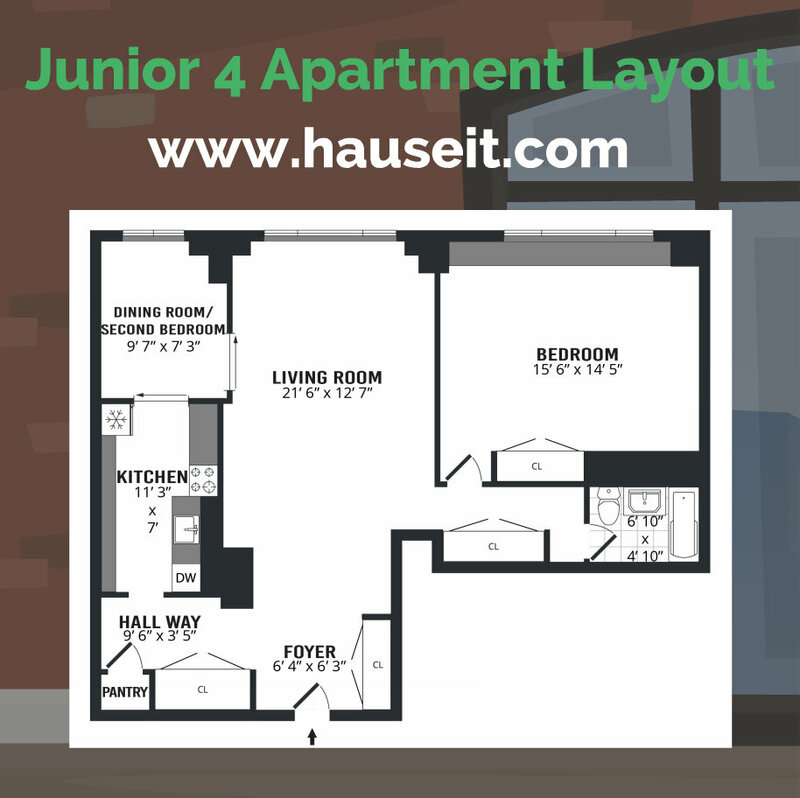 ‘Junior 4’ can also be used to describe a large one bedroom apartment with an alcove space that has the potential to be converted into a separate, small nook or sleeping area. 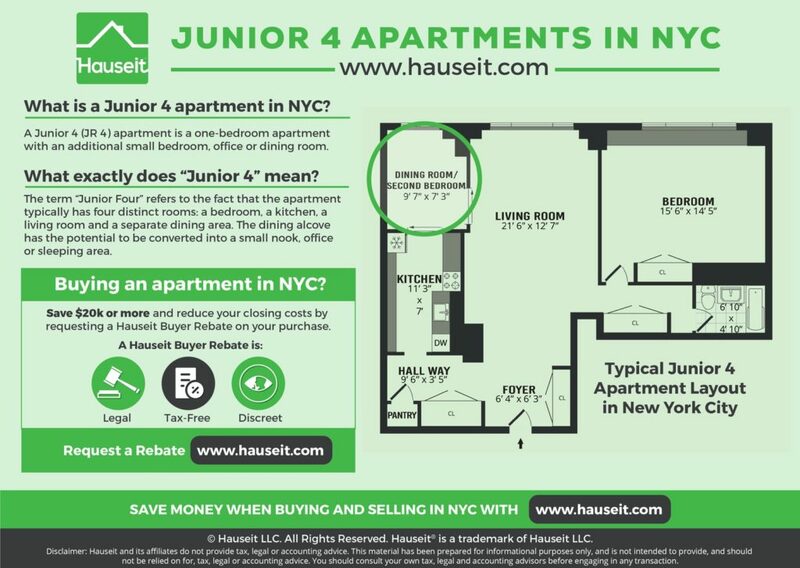 If an apartment has two bedrooms but is marketed as a ‘Junior 4,’ it suggests that the dimensions of the second bedroom may not meet the guidelines for a legal bedroom in NYC. There is no single, authoritative definition of a Junior 4 apartment in NYC. However, Junior 4 apartments are usually more valuable than standard one bedroom apartments. This is because Junior Four apartments have more configuration optionality. The floor plan below is a good example of what can be considered to be a ‘Junior 4’ apartment in NYC. In this example, the alcove space behind the kitchen has been walled off and turned into a second sleeping area. In other words, a Junior 4 apartment is more versatile than a standard one bedroom apartment which cannot be easily reconfigured. Junior 4 apartments are typically less expensive than true two bedroom apartments. Therefore, a Junior 4 apartment is an excellent choice for a buyer who requires a second sleeping area but who may not have the budget to buy a true two bedroom apartment. A ‘Junior 4’ is a one bedroom (3 room) apartment with an extra office or dining area that has the potential to be used as a second sleeping area (4th room). While a typical one bedroom apartment has three rooms, a Junior 4 is unofficially considered to have a ‘fourth’ room which is the extra space that can be used as an office, separate dining room or a sleeping area. The ‘Four’ in Junior 4 is an unofficial reference to the number of rooms in the apartment, which include: the bedroom, kitchen, living room and the extra alcove space. The flexibility offered by a Junior 4 makes it more useful (and arguably more valuable) than a standard one bedroom apartment, which is usually considered to have three rooms. Junior 4 apartments are usually a better choice than one bedrooms because they can remain practical for an owner longer. In other words, a buyer with a growing family could last longer in a Junior 4 compared to a one bedroom before having to sell and buy a larger apartment. Holding onto an apartment longer means that you will save money on buyer and seller closing costs in NYC. You may be disappointed to hear that there is no correct answer as to whether you should list your Junior 4 as a one or two bedroom apartment. Choosing how to represent your apartment is an important decision which should be thoroughly discussed with both your listing agent and real estate attorney. On the one hand, listing your property as a two bedroom when it’s really a Junior 4 (one bedroom) may mislead buyers who are in the market for a true two bedroom. On the other hand, listing your apartment as a two bedroom will make it visible to buyers who are interested in Junior 4s but who may have never found your listing if it was listed just as a one bedroom. No matter how you decide to list your apartment, it’s critical that you are honest, factual and thorough in how you describe the property in your listing description. Buying a Junior 4 apartment is a great decision if you do not have the means to buy a true two bedroom apartment in NYC. Junior 4 apartments are more versatile and can be reconfigured over time to support your changing lifestyle and growing family. This means that you can hold onto a Junior 4 apartment longer than one bedroom apartment before you need to sell and upsize. Better yet, Junior 4 apartments are typically considered to be more valuable than standard one bedroom apartments because of the extra optionality offered by the layout. 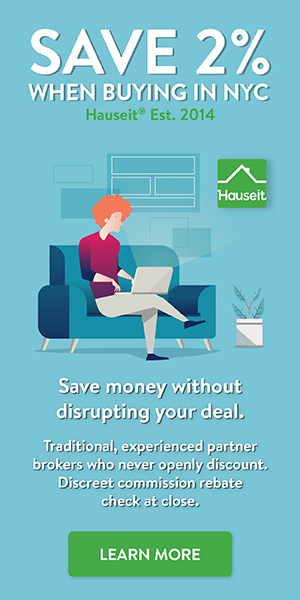 If you’ve requested a buyer broker commission rebate, your buyer’s agent will help you navigate the available inventory and offer advice on what apartments and layouts make the most sense for your lifestyle and budget. A Junior 4 coop or JR4 co-op is a one-bedroom apartment with an additional small sleeping area, office or dining room. The term Junior Four is mostly used in New York City’s real estate market. Both condo and co-op apartments as well as rentals in NYC can be described as Junior Four apartments. The use of the term Junior Four (JR 4) to describe a one bedroom apartment suggests that the apartment may offer more versatility than a standard 1br apartment. Junior 4 co op apartments can be configured to have a second sleeping area, an office, a formal dining room or they can simply have an extra alcove space in the living area. The term Junior 4 in NYC real estate can be used to describe both condo and co-op apartments. The topic of condo vs co-op in NYC is complex, but one key takeaway is that a Junior 4 condo in NYC will almost always be more expensive than Junior 4 co op apartment in New York City. In other words, you will get more for your money by focusing on a Junior 4 co op compared to a JR4 condo. Although co-ops are less expensive, their downsides include having more restrictive sublet policies and a rigorous co-op board application process.